I think this weekend i was most looking forward to seeing Drew Barrymore's new movie, Whip It. 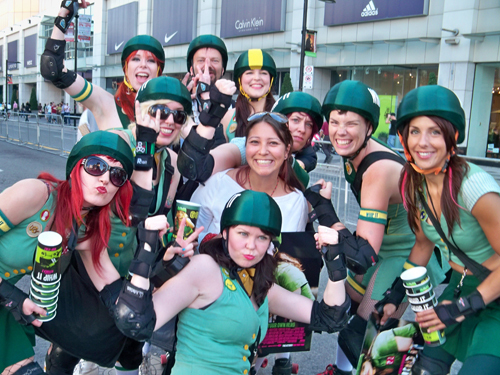 There were roller derby girls dressed as the characters at Yonge and Dundas Square. 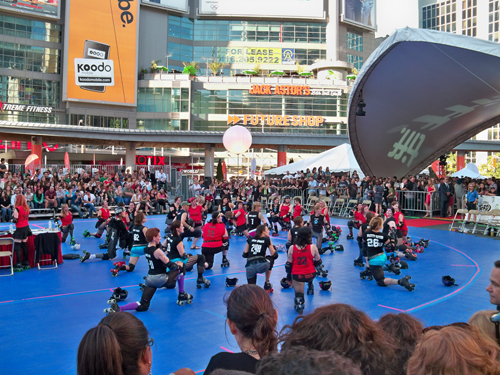 Then they had a real roller derby right there. This was the first movie Drew Barrymore directed - and it was great. I got most of the cast to sign my poster! Heeeeeee! Lucky you, that looks so fun! I'm not sure I'm loving Drew Barrymore's hair though...maybe it's for a part? I love Drew's do and overall look. She's glam in anything. 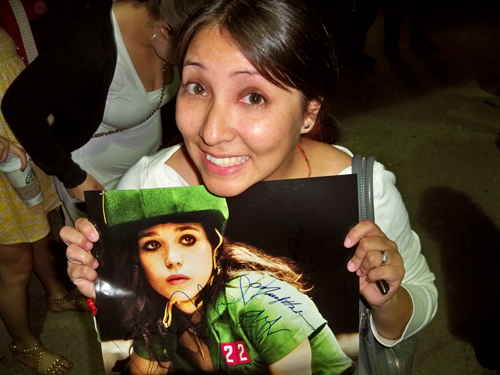 Did you get to meet Ellen Page??! Yes, Ellen Page signed my poster and then she walked right past us on her way out after the theatre and Tina said she did a terrific job and she said Thank You.